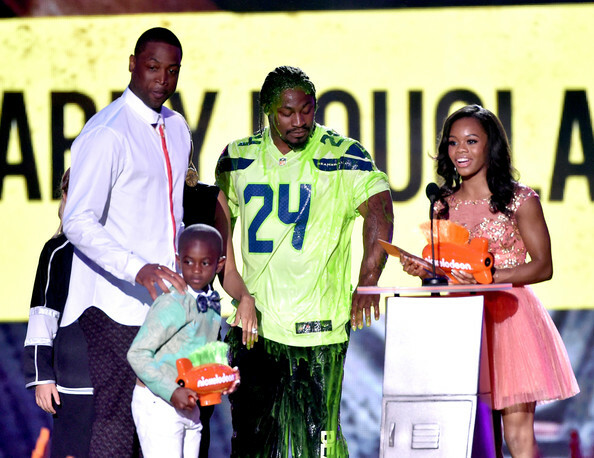 Tia Mowry, Steve Johnson, Stephen Curry, Nicole Murphy, Matt Barnes, Larry Fitzgerald, Dwyane Wade, and Antonio Cromartie were just a few of the celebrity parents that were in attendance at Nickelodeon Kids’ Choice Sports Awards 2014 on July 17, 2014 in Los Angeles, California. The stars and their kids were all smiles as they posed on the orange carpet. 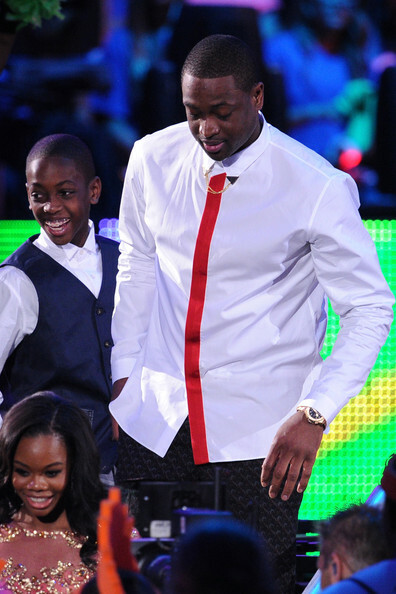 A lineup of sports superstars including Dwyane Wade, Tim Howard, Serena Williams, Kevin Durant, Gabby Douglas, Victor Cruz, Carmelo Anthony and more were winners, taking home orange mohawked blimps at the inaugural Kids’ Choice Sports event. Hosted by Michael Strahan (LIVE with Kelly and Michael, Fox NFL Sunday), the awards were broadcast live from UCLA’s Pauley Pavilion in Los Angeles where kids honored their favorite athletes, teams and sports moments from the year in one big, slimy sports celebration. The live broadcast of Nickelodeon’s Kids’ Choice Sports 2014 will encore Friday, July 18, at 9 p.m. (ET/PT). Replays of the awards will also air on Saturday, July 19, at 3:30 p.m. (ET) on Nicktoons and Monday, July 21, at 6:30 p.m. (ET) on TeenNick. Kids’ Choice Sports 2014 will be available on Nickelodeon On Demand beginning Friday, July 18.